Conditions: Below average seeing and transparency. Processing: CDSoft, CCDSharp (Luminance only), Registar, Sigma, Photoshop CS2. M1. 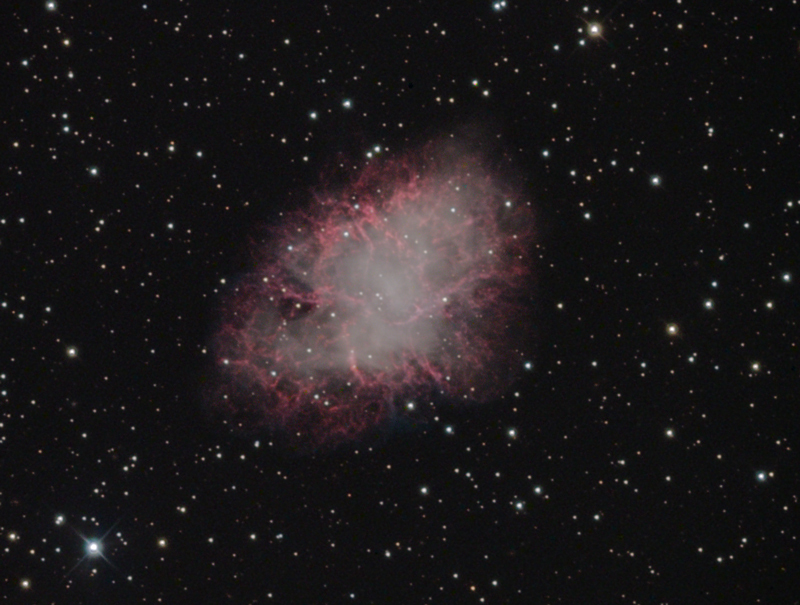 Crab Nebula Supernova Remnant. 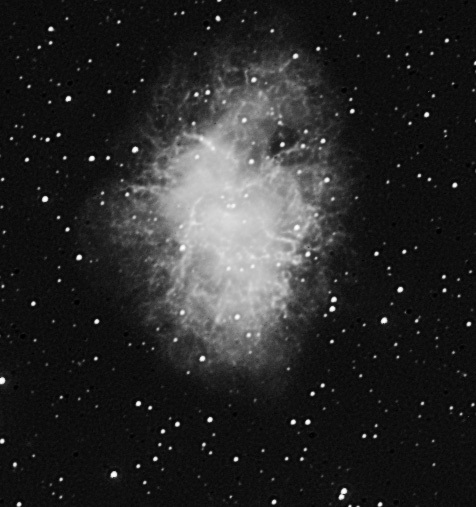 Supernova first seen in 1054. Conditions: very high humidity, average seeing (2.0-2.4 arc sec FWHM).